I met up with James & Hayley at The Royal Saracens Head in Beaconsfield Old Town to discuss their wedding and hear all about their plans. It sounded extremely exciting – not only was the service at St Marys All Saints Church in Old Town Beaconsfield which I love, the venue was to be Hedsor House in Taplow which is just stunning plus Hayley’s uncle Sir Elton John and his family were attending and Sir Elton and David’s children were page boys. The day of the wedding arrived and the weather couldnt be more perfect. Hayley and her bridesmaids and mum were getting ready in the Bridal Suite while I went about photographing her gorgeous wedding dress and all the details. It was photography heaven for me. One of her bridesmaids helped Hayley into her dress and she had some photos in the room on her own before everyone was allowed in – she looked like a Princess and when the door opened and the bridesmaids and her parents came in there were some very happy tears. I headed over to the St Marys All Saints Church in Old Town Beaconsfield to meet up with the Groom and his ushers. James was very cool and seemed to be taking the day in his stride. The guests were being seated and the bridal party were being kept in the waiting area at the back of the church. The page boys, flower girls, bridesmaids and all the parents were excitedly waiting the anticipation of the Bride. Hayley arrived and her parents, Sir Elton and David were all there to greet her. They all took their places and I went to the front of the church. Hayley and James looked so happy as they saw each other for the first time. It was a very moving and beautiful service. After the service confetti was thrown in the grounds of the church before the bridal party and guests headed over to the absolutely stunning Hedsor House in Taplow – a Georgian stately home set in beautiful grounds over looking the river Thames. 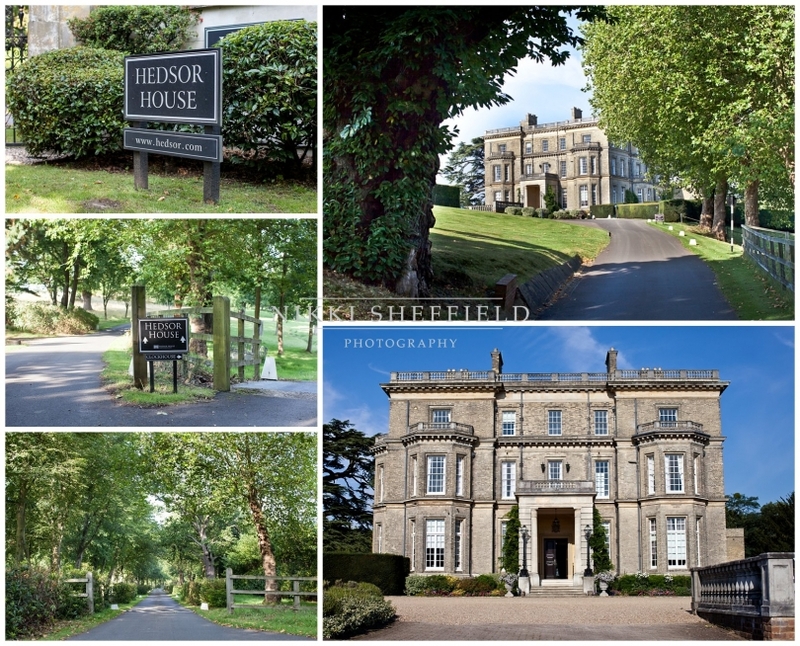 Champagne and canapes were served to the guests on the lawn at Hedsor House while I headed off with the Bride & Groom for some couple shots in the grounds followed by the group photos at the front of this exquisite English country estate. The couple headed up the receiving line for guests to be seated for the wedding breakfast and after the meal Hayley’s father, James and the Best Man delivered very funny speeches. The cake was cut and the happy couple took to the dance floor for their first dance. What an amazing day and one I am so thrilled and honoured to have been a part of. A special thank you to Paul Magee who assisted me on the day and who was an absolute star.